Jo commenced working at Rafton Family Lawyers since November 2009 and is employed as Kate Rafton’s Personal Assistant and the Firm’s Office Manager. 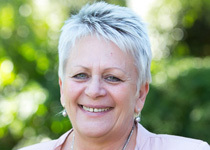 Jo has been employed in the legal profession for 36 years and during that time she has worked in all areas of law including Personal Injury, Conveyancing, Commercial, Criminal and Family Law. Since 1984 Jo has focused solely on Family Law working in the Penrith area as a Senior Secretary for the majority of this time. Jo is very familiar with the local Hawkesbury area having friends and family in this region. Jo’s experience, efficiency and professionalism is valued by clients and members of the Legal Profession and further her understanding and experience of the Family Law system ensures that all work is carried out expediently and in compliance with the Court processes and procedures.